Blackburn-based pet food manufacturer, Pets Choice, has confirmed that two of its newest brands will be exhibiting at the forthcoming Royal Lancashire Show, 20th – 22nd July 2018. Meatiful, champion of Great British dog food will be exhibiting in Mall 1, stand 10, while Spike’s World will be showcasing a variety of products from its trio of brands WildThings, Spike’s and Feathers & Beaky in Mall 1, stand 9. This is the first time either brand has exhibited at the historic Royal Lancashire Show, which dates back to 1767 and is expected to attract more than 15,000 visitors. Camille Ashforth, Spike’s World product manager, comments: “As a local manufacturer we take great pride in our heritage and are always looking for opportunities to support our community. “The Royal Lancashire Show is one of the county’s great assets and is expected to attract tens of thousands of people from across the region. We’re anticipating many visitors will be animal-lovers, so we’re sure they’ll be interested in what we have to offer. 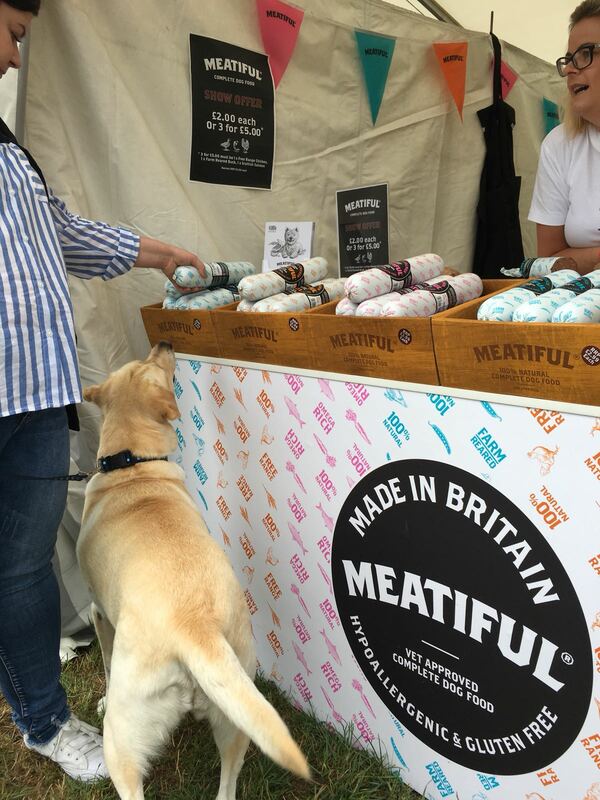 “One of the stand highlights will be Meatiful’s best-selling gourmet sausages, especially for dogs, which are 100% natural, 100% gluten free and made with no artificial colours, flavours or preservatives. As part of its ‘Ban the Bread’ campaign, information leaflets will be handed out on the stand as well as free samples of food to encourage people to carefully consider what they’re feeding the wildfowl next time they visit the lake. The event is taking place at Salesbury Hall, Ribchester from 20th – 22nd July, from 9.30 – 5.30pm.